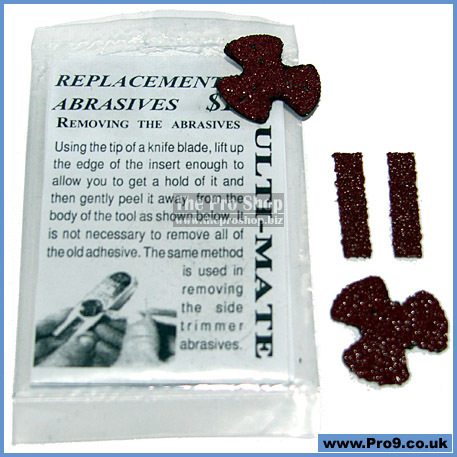 The Ulti-Mate Tip Tool is one of the most popular cue tip tools in the world, and we are pleased to finally get hold of some genuine replacement abrasives for our customers. 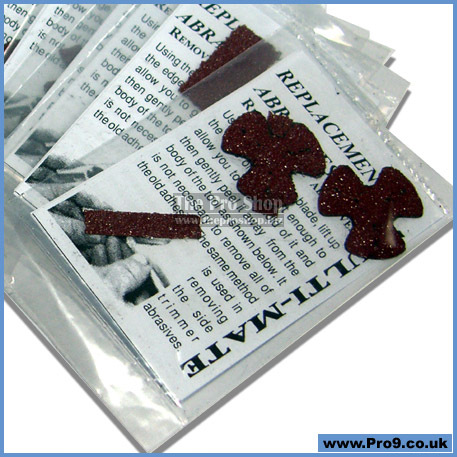 Each set comes with complete instructions on how to remove the old abrasives and replace with the new set. Keep your Ulti-Mate Tip Tool in peak condition. The only tip tool with a replacement set of grits. Replacements for both bowls and side trimmers. Using the tip of a knife, lift up the edge of the insert enough to allow you to get a hold of it and then gently peel it away from the body of the tool. 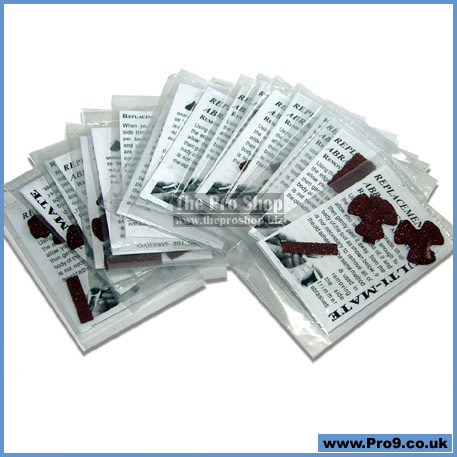 It is not necessary to remove all the old adhesive. 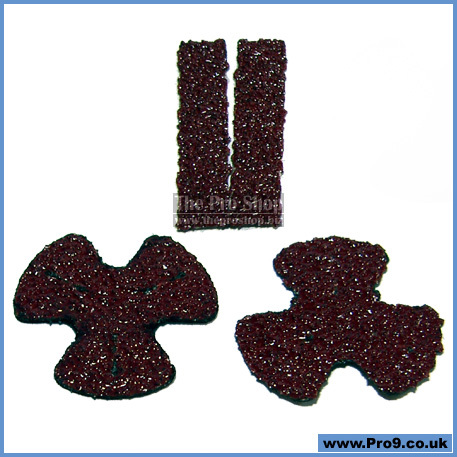 The same method is used in removing the side trimmer abrasives. *Maximum 4 sets per customer please.